We have realised that the occasional glass of water is not good enough and health-conscious individuals are looking for ways to increase water consumption both at home and in the office. One thing you may notice is that when you are at a restaurant, or similar establishment, you drink more water. One contributing factor may be is that there are usually jugs or bottles of cold water placed on the tables making it easier for you to keep topping up your glass. Convenience is the key to drinking more water. Having to refill a jug yourself or wait for tap water to become cold can easily deter you from drinking the water your body very much needs. Having it there ready for you is a great way to make sure you will consume what you need. A smart office manager or business owner will know there are benefits to their staff drinking plenty of water. Increased work production, more alertness and better moods will ensure that the work place is a much happier one. Dehydrated staff can mean all kinds of issues in the office. Water bubblers conveniently located for all staff to use will ensure that fresh, clean drinking water is constantly available. There won’t be any issues with staff not topping up jugs in the fridge and no need for anyone to drink unfiltered tap water which can harm their health. The same issue with jugs not being refilled can arise at home and you certainly don’t want your family drinking unsafe tap water. A bubbler station in the kitchen will easily fill up your glass with refreshing water and it is a great way to encourage younger members of the household to drink more water. Children will love the novelty of filling up their glasses or bottles at the bubbler station or drinking straight from the bubbler station. Many times I have seen children want to stop at a bubbler station in a library to have a drink because of the ‘fun’, novelty factor. 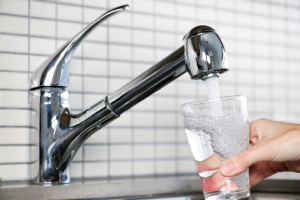 If you want to get your staff or family drinking more water that is run through water filters, don’t delay and look after their health today by visiting https://pacificsprings.com.au/. This entry was posted in Office Water, Water Filters & Purifiers, Water Health and Safety (OH&S) and tagged bubbler, drinking water, water bubblers by Teala. Bookmark the permalink.